Julia, you have created two sa-weet projects! The kitty looks just like my two! 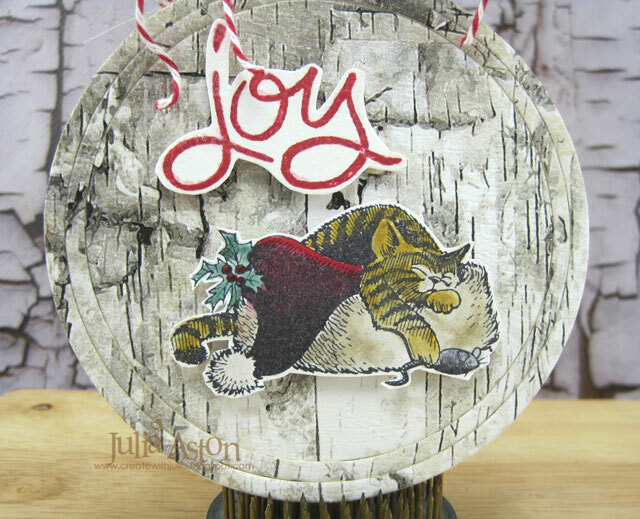 I love the birch paper and Peppered Chantilly Allure powder! Gorgeous! Happy Thanksgiving to you and your family! 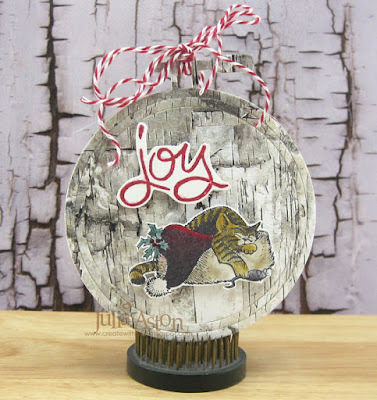 What clever ideas, I am always on the lookout for making new ornaments! Thanks for sharing your idea and instructions! I love both of your projects, thanks for sharing. What an adorable way to use the vase super cute now I will havge to get that die. Happy thanksgiving today. 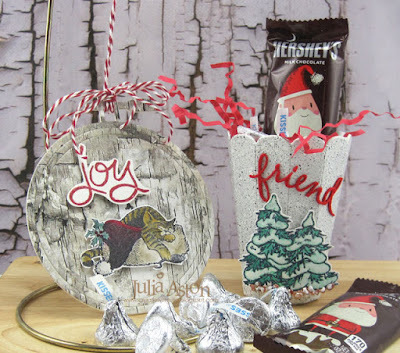 Such fun and festive projects! 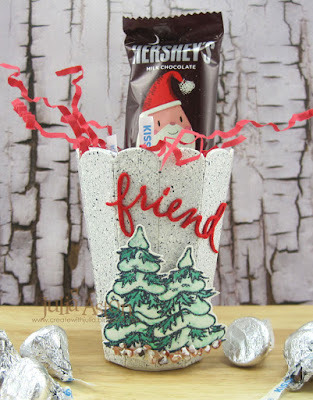 Fabulous ornament and treat holder! 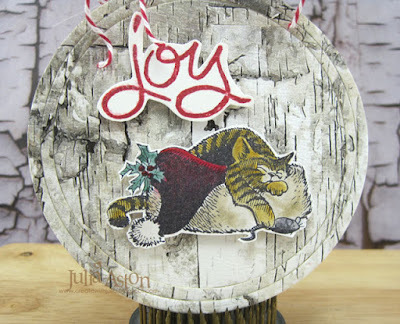 I love the image of that adorable cat you used on the ornament! Wonderful treat carton. The embossing of the tree is well done showcasing Emerald Creek products. Julie, I was smiling from the opening photo, reeled in by all the pieces and excited by all the new ideas you shared. I had no idea that Eileen had that vase die. I think I have to get one. And I loved the use of the cat! Thank you for joining us! Such fabulous projects Julia! Love the embroidery hoop and vase with the EC stamps and embossing powders. Two great projects! 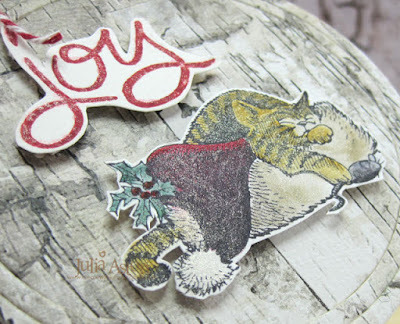 Especially love that ornament - I keep intending to make some ornaments but never seem to have time! Love these wonderful creations, the embroidery hoop ornament looks awesome in the birch bark paper and how fun to use the vase this way! I love them both! Two fantastic craft projects, Julia! 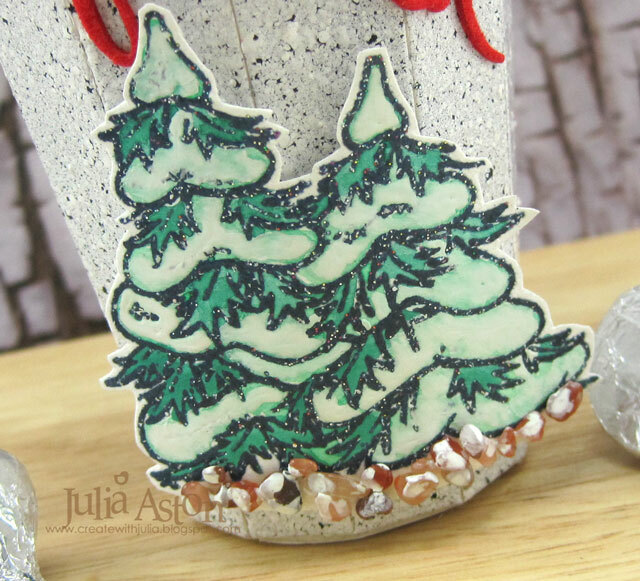 Love that vase with the pretty trees! The birch bark embroidery hoop is cozy and fun! That kitty looks like she's been busy checking out the Christmas tree! A VASE becomes a treat holder! An embroidery hoop, a home decor piece! Wow, Julia! So VERY creative!!! Not only are these really sweet projects, your tutorial(s) are wonderfully done, as well! Great work, here! Wow - these are delightful! Homemade ornaments are the very best!